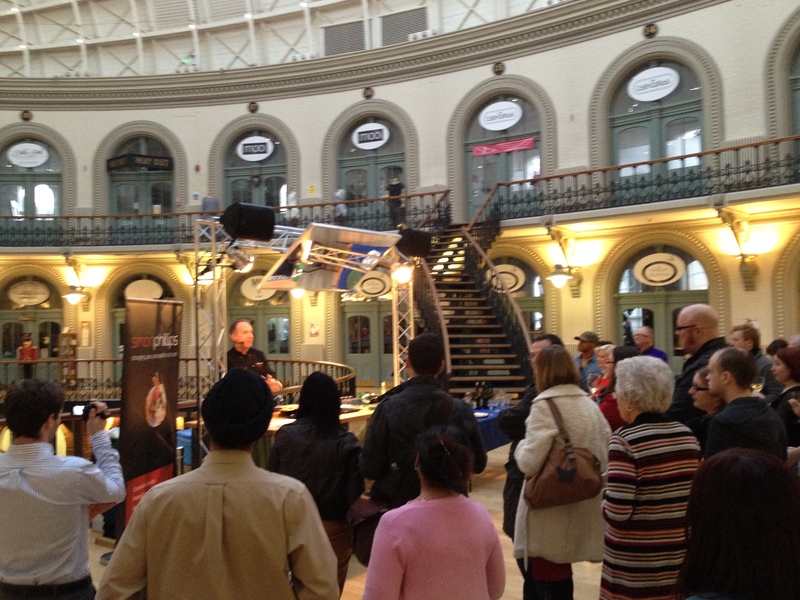 As part of #GoodFoodFriday in Leeds and in conjunction with Cornucopia I experienced some unexpectedly Yorkshire food & convivial company at the Corn Exchange in Leeds. This was truly Yorkshire Fusion Food, Leventhorpe Wine, Shepherds Purse Cheese & Yorkshire Chorizo in a Sushi Fusion created by Simon Phillips the Sushi King. 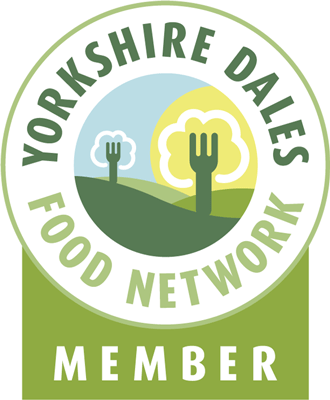 Anyone for Roast Beef & Yorkshire Pudding Sushi, Yorkshire Blue & Asparagus Sushi or maybe even some Yorkshire Chorizo Sushi…. Yorkshire Blue from Shepherds Purse, a mild, soft, creamy, blue veined cheese made from Yorkshire cows milk, a unique buttery/sweet flavour with no bite. Yorkshire Chorizo a fully cured Spanish style sausage containing British free range pork, made in Yorkshire. Leventhorpe Wine, Leeds very own vineyard within the Leeds City boundary and the most northerly commercial vineyard. Simon Philips works tirelessly to promote Sushi – it doesn’t have to be all about fish! This entry was posted in cheese, Chorizo, Eating, Events, Food, Leeds, wine, Yorkshire and tagged cheese, chorizo, Leeds, Leventhorpe, Shepherds Purse, sushi, wine, Yorkshire, Yorkshire Blue. Bookmark the permalink. 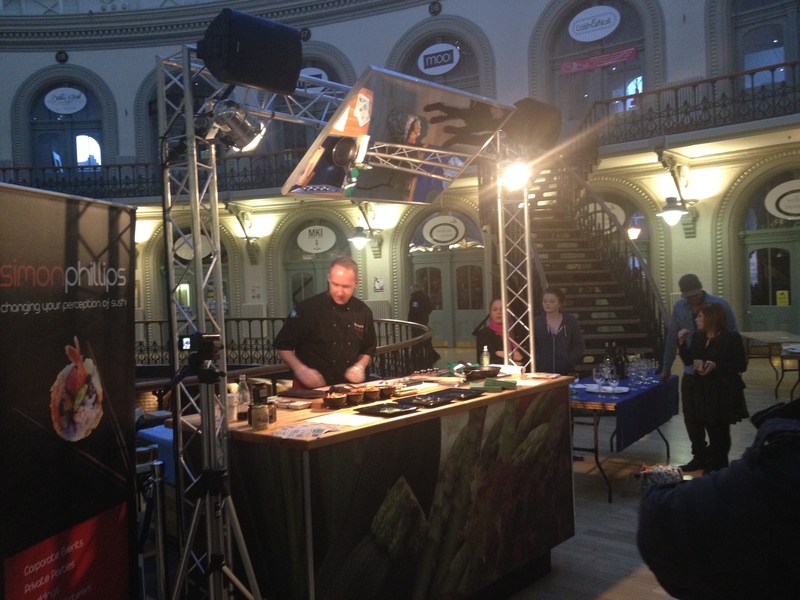 I enjoyed the event, I thought that Simon would have kept making sushi all night if he’d have had enough ingredients! I loved your Yorkshire Chorizo canapes too.